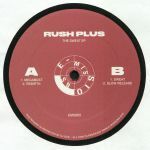 Discos en vinilo y CD de E-missions US. 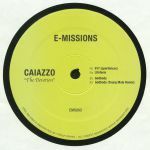 Review: Alongside his fellow New Yorker P.Leone, Caiazzo launched the E-Missions label in March of this year with the release "1994EVER" - an offering that further propelled their standing in the techno community. 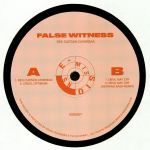 Caiazzo is said to have moved to techno capital Berlin first and upon Leone's arrival introduced him to Work Them Records boss Spencer Parker: which soon cemented a pretty sweet deal. The Devotion EP starts off with the snarling industrial strength techno of "917" (Sportmixxx) and the tunnelling hypnotic techno journey "Lifeform". 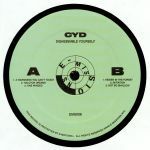 On the flip "Godbody" treads a similar path down into the void, but it's all about fellow New Yorker Young Male's rendition which takes its cues from the trance inducing Sound Of Rome made popular by the likes of Donato Dozzy & Giorgio Gigli. Four secret weapons for any serious DJ's sonic arsenal. Tip!